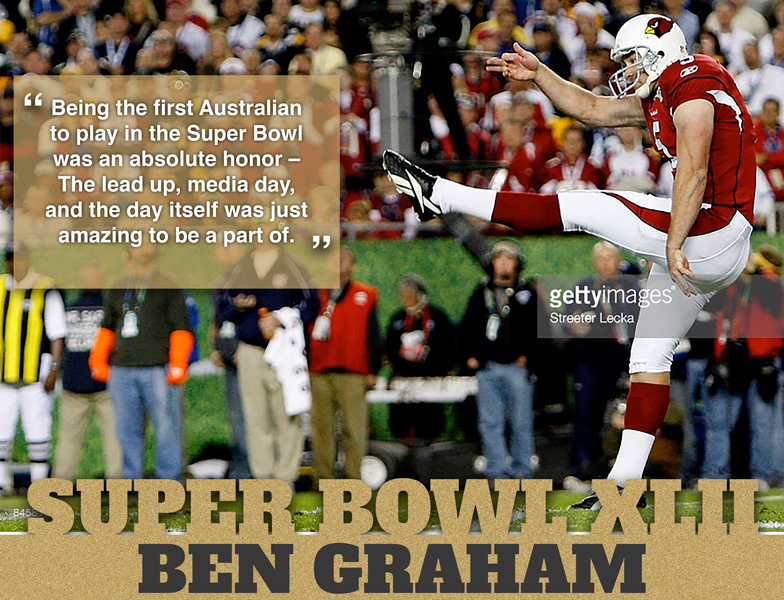 Being the first Australian to play in the Super Bowl was an absolute honor. The lead up, media day and the day itself was just amazing to be a part of. Best individual moment was a punt that was downed on the 2-yard-line which led to a safety. In the best team moment and in the ensuing drive, Larry ran across the middle for a touchdown to take the lead. I was lucky enough to have front seats to the Bruce Springsteen half time concert while waiting to warmup for the second half. We didn’t win but it was amazing.